'Timing' is so much at the heart of whether your book will have sales or just join the slush pile of proposals on an agent's desk, the millions of self-published offerings on the web in various forms or sitting in boxes, unsold, beneath your bed. If we could all figure out the trends well-enough in advance in order to ride them, reshape them or, at best, set them, we would all be well-rewarded for that time we spend striving. At present, the world is flooded with books about vampires and werewolves. Not my cuppa, really, though I love Eastern European settings and these books often include those elements. What I have noticed though, is that those classic elements are transplanted into a present-day society and stories of ancient archetypes battling with today's technology seems to be selling. 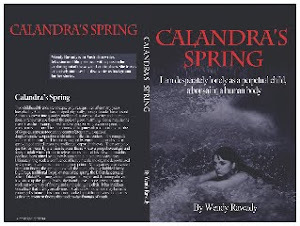 My book, 'Calandra's Spring', has that aspect, as it deals with an ancient spring that has magical properties. How the contemporary characters are affected forms the story. If you enjoy that kind of tale, which mixes science, environmental concerns, criminals and a love story, then please go to amazon.com by clicking on the book cover on the right and buy the book while it is free or cheap (free to amazon prime customers). I would also love your feedback! sounds like an interesting book! congrats! Thankyou! Sometimes I think that marketing is harder than writing the darn book!